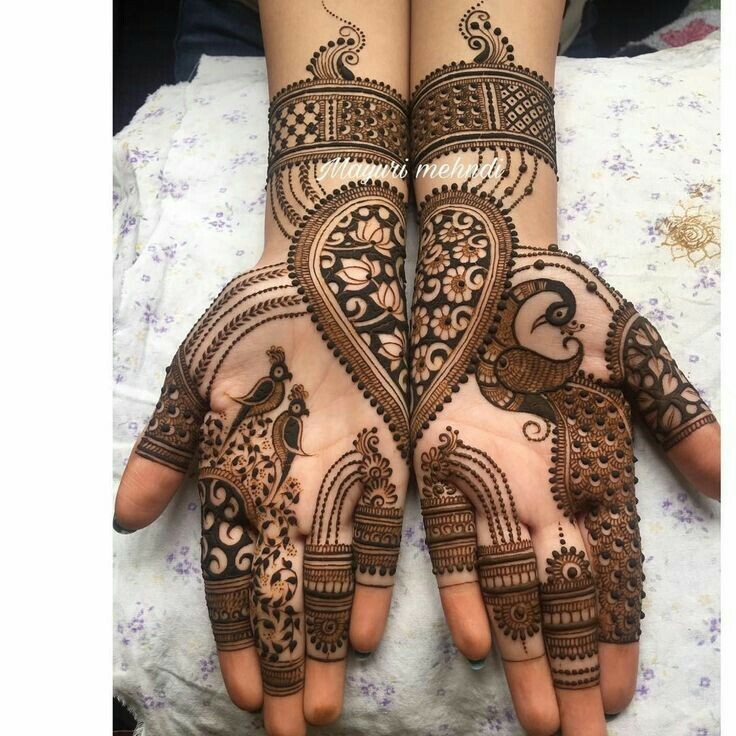 Henna mehndi designs have various patterns like flowers, paisleys, leaves, peacocks etc. 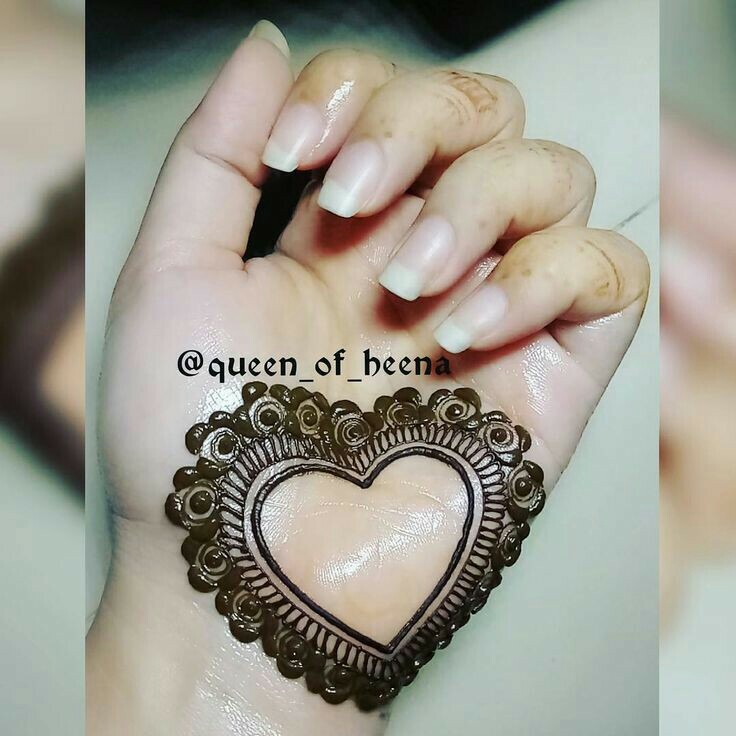 If you are bored all these normal mehndi patterns or motifs and want to try something fun and different then select one from heart mehndi designs for hands. 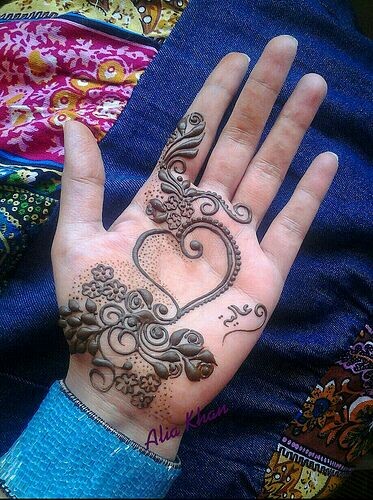 Heart henna designs are actually a very good way to show your love to your partner. 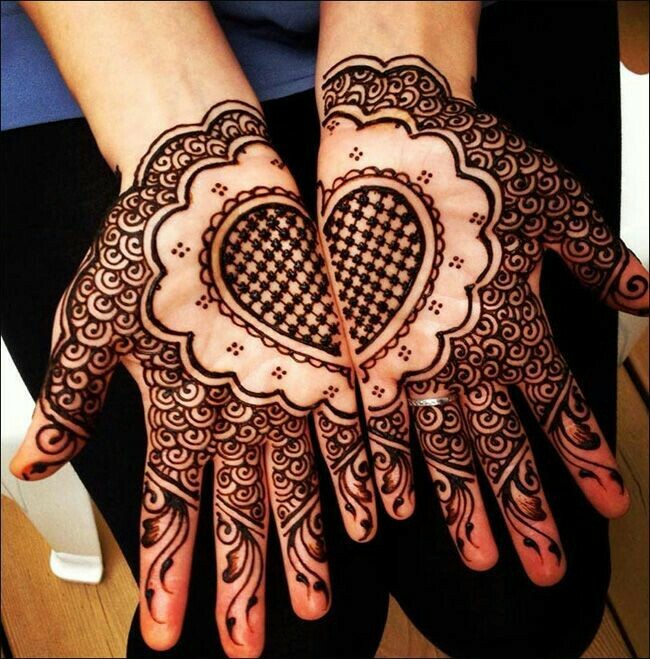 Heart shaped mehndi designs are good for romantic occasions like your engagement or festive events like karwachaut or even the more western occasion valentines day. 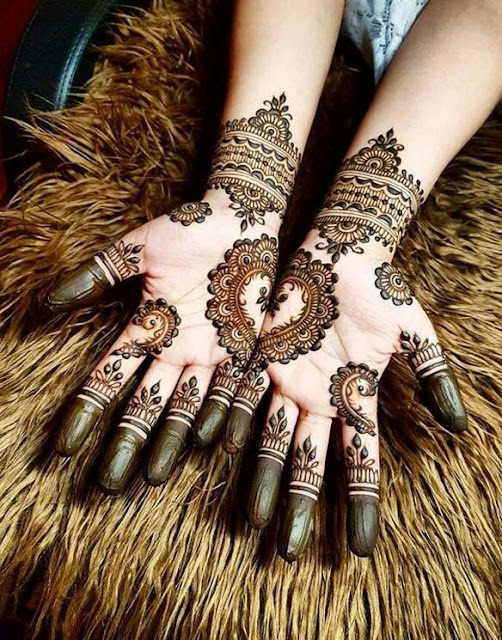 Heart mehndi designs are not just for romantic inclined women as anyone can actually apply these kind of mehndi designs if you choose carefully, patterns or designs where the heart shape is not taking a center stage. 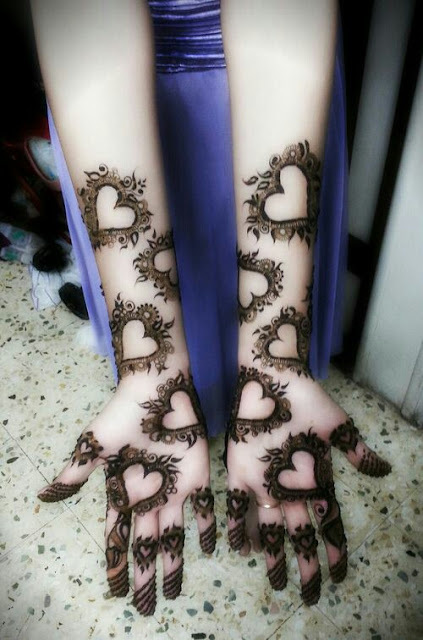 Heart shaped mehndi designs are very popular among girls not only in India but also around the world. 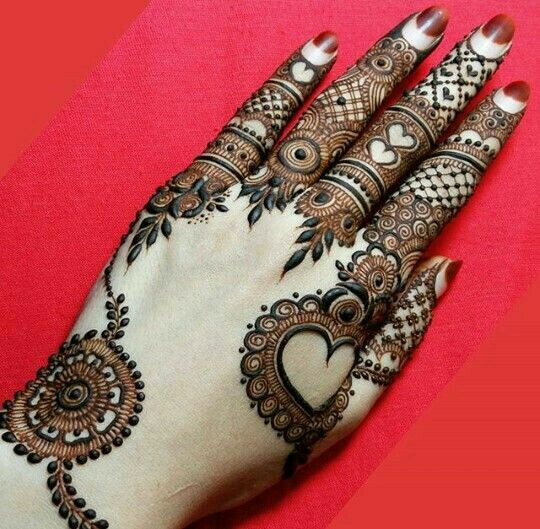 Here I bring to you some of the best heart mehndi designs for hands from which you can choose as per your personal taste and preference. Which of these Pretty Heart Mehndi Designs do you like? 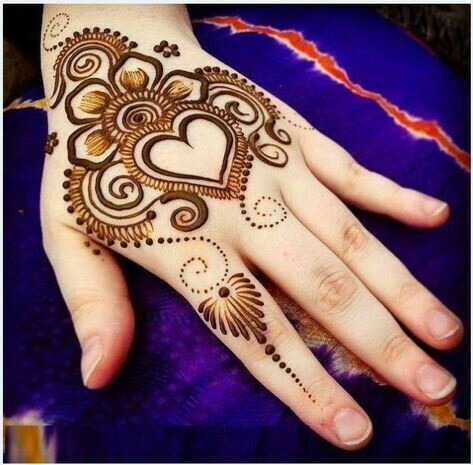 Would you try a heart henna pattern for eid this year? Tell us in comments below. 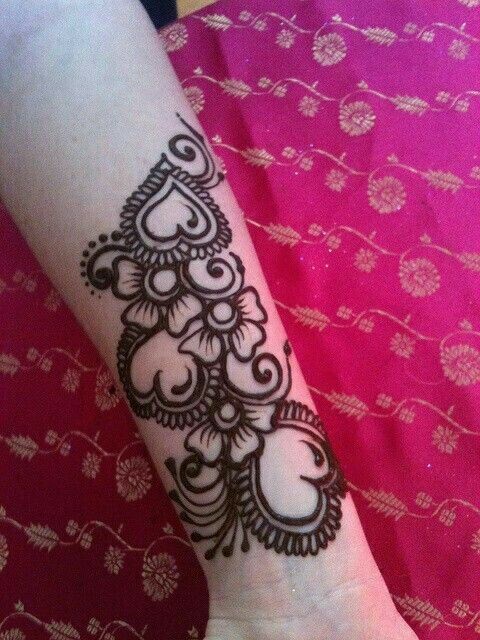 A flower for every occasion to make it a special one! On this journey called life, we come across many occasions to be thankful for and to be happy about. We make friends, learn new things and move ahead. These experiences leave us with occasions that make us human and capable of emotions. 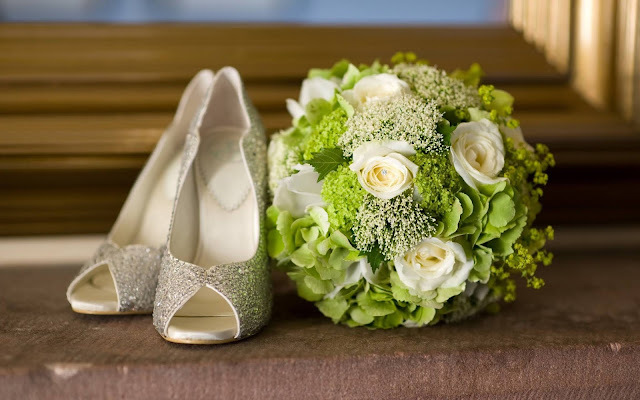 The occasions that we choose to celebrate make us what we are and honestly, can there be anything better than online flowers delivery in Kolkata to complement the beauty and grandeur of these moments? 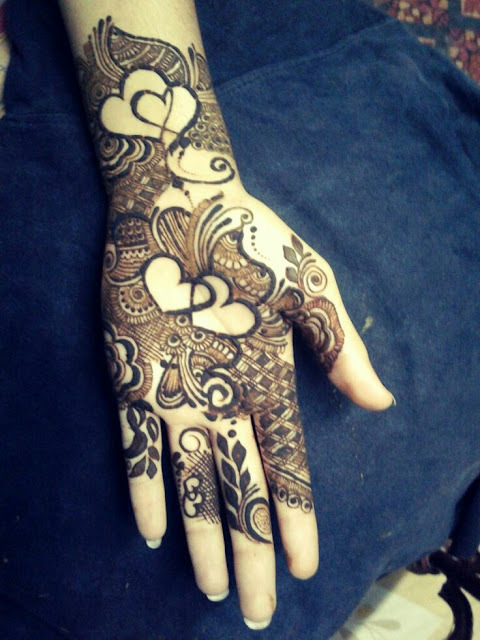 Here are a few floral ideas that every occasion in your life should be rewarded, acknowledged and appreciated with! Be it your mother’s birthday or your kid’s, a birthday brings back the happy memories. The joy of togetherness and the solace of having a family to call your own! For such beautiful moments that you would like to cherish forever, a fresh flower bouquet along with a gift basket of chocolates, fresh fruits and dry fruit is all you need to make a special day like birthday memorable! The feeling of being financially independent is so underrated until you have experienced it! 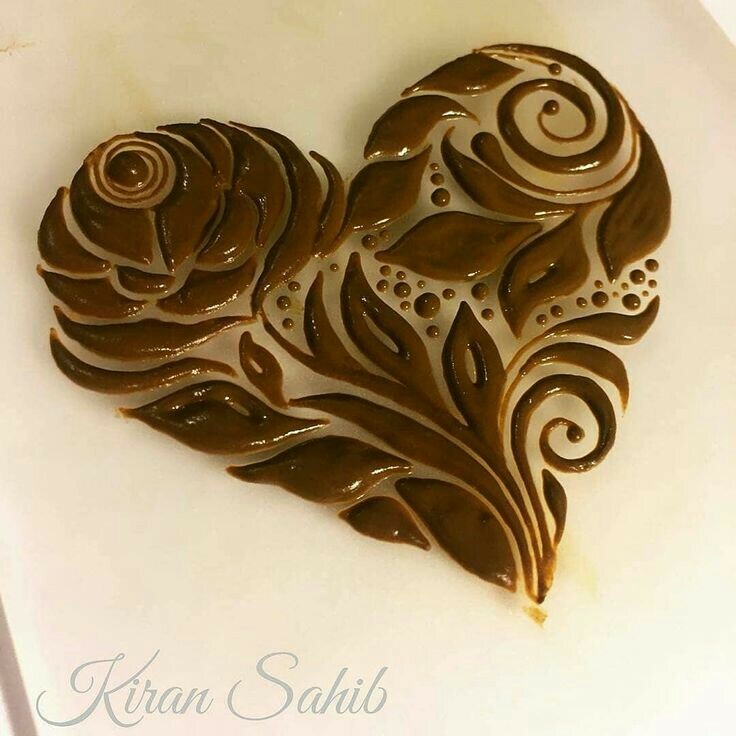 Be it the first salary or first day at work of somebody you love, it calls for celebrations! 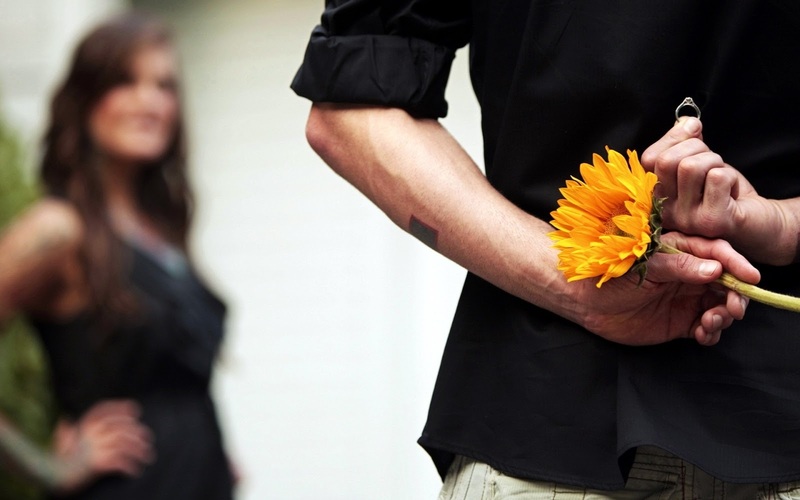 Send them flowers online and convey your best wishes to them! The lovely flowers can also alleviate their stress and ‘pre-office’ jitters! 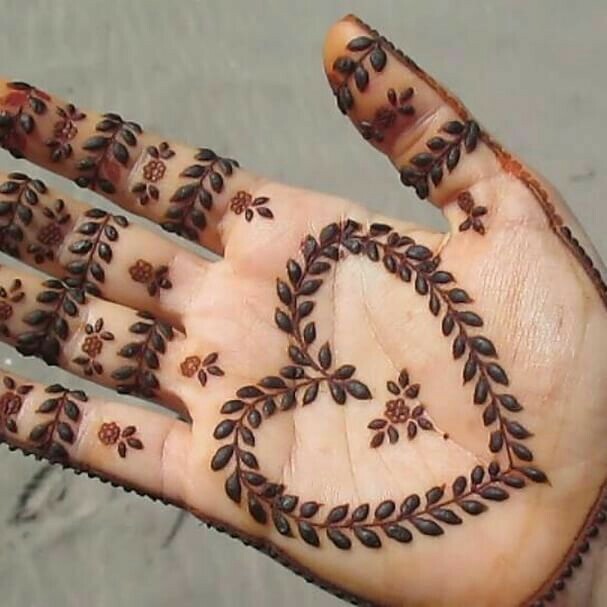 Being in love is scary and heady! You are worried about several things-from that zit on your face to whether you are dating the right person or not! On the other hands, you are super comfortable around her and every day just seems special when she is around, isn’t it? 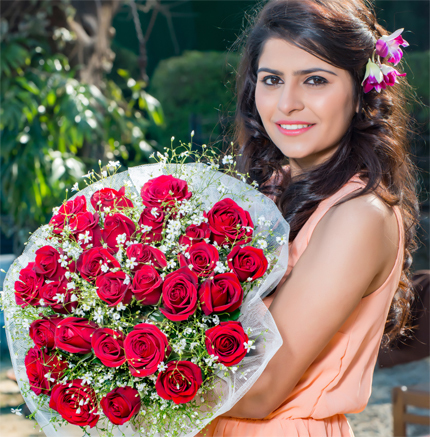 If your girl’s profile on Facebook, Instagram or Twitter is all about being hopelessly romantic, then you can’t just wait for Valentine’s Day to send her same day flowers delivery in Mumbai! Buckle up, - boy and keep her reminding that how lucky you feel to have her in life! Finally taking the plunge, eh? 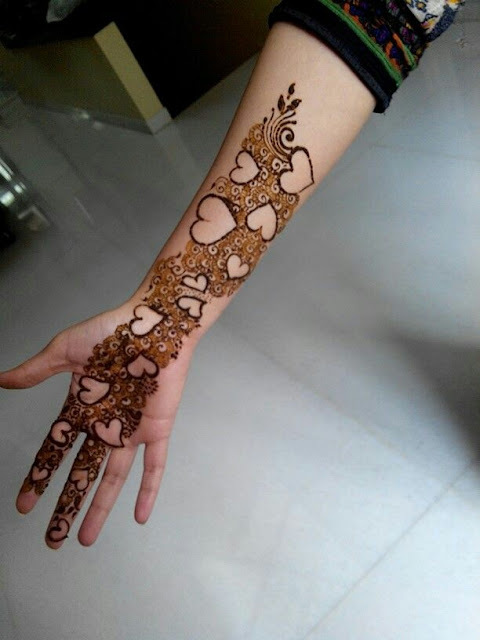 As you are gearing up for new and big responsibilities in your life, you will have special occasions such as a marriage anniversary or an extra birthday to look forward to. There is only one way to make the most of it! While flowers lend a spruced up feel to your home, they bring the colour and liveliness you need to brighten up your day and some special moments! 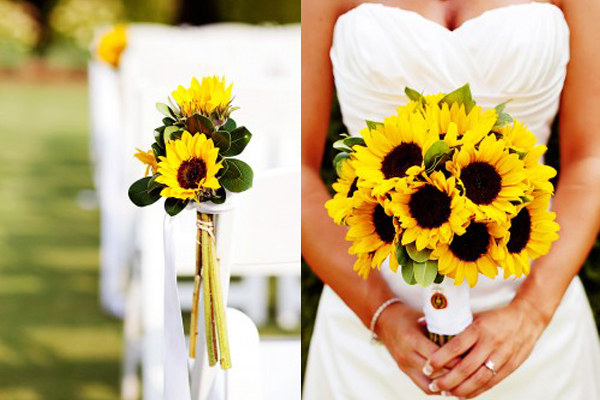 If you know someone who is getting hitched, send him flowers to send your heartiest wishes on his new journey! 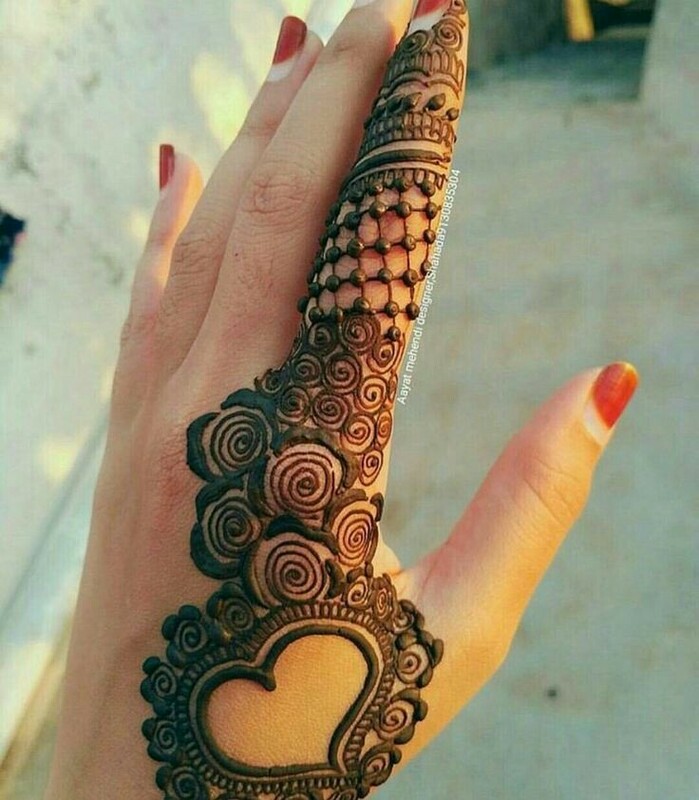 This could be the most beautiful phase of your life! It is perhaps the most relaxing time of the life when one should be resting, vacationing and celebrating every moment while trying to make even the routine ones special. If your parents or in-laws are getting retired, you can make it extra special and memorable than ever with the right flowers! 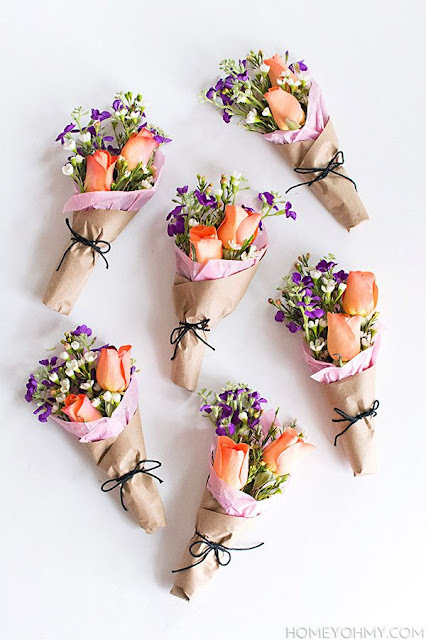 Celebration with flowers can be very satisfying, creative, fun, meaningful and pocket-friendly! 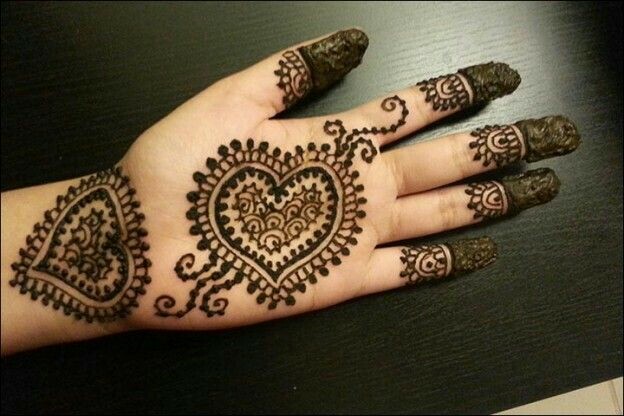 Besides, even after the celebrations, they can remind you of good times! Strattera is a medicine that contains an active substance called Atomoxetine. It belongs to a group of medicines called selective noradrenaline reuptake inhibitors. Strattera Atomoxetine is well absorbed after oral administration and food has no effect on the effects of this drug. The vast majority of Strattera is metabolized via CYP2D6 enzyme, and that’s why this medicine can interact with inhibitors or inducers of CYP2D6 enzymes. 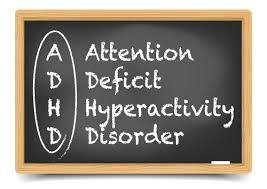 Strattera is indicated in the treatment of attention deficit hyperactivity disorder (ADHD). The effectiveness of the drug in the treatment of this disorder was confirmed in seven clinical studies in children and adults. As with most drugs that affect neurotransmitters in the brain, Strattera Atomoxetine can also cause an increased risk of suicidal thoughts and behaviors. The risk of suicidal behavior is higher in children and adolescents. The patient and his/her closest friends and family should be advised to report any suspicious behavior to the doctor, as in certain situations patients with suicidal thoughts do not want to report to their doctor. However, no suicide has been reported so far in patients who have used Strattera. Strattera Atomoxetine should not be administered concomitantly with drugs called MAO inhibitors (monoamino oxidase inhibitors), such as Tranylcypromine, Moclobemide, Isocarboxazid, Selegiline, Rasagiline, and Linezolid. Strattera can increase monoamine levels in the brain, just like MAO inhibitors, which can lead to rigidity, hyperthermia, myoclonus, extreme agitation, delirium, and coma. For this reason, Strattera Atomoxetine should not be administered concurrently with these medicines. You must wait at least 2 weeks after an MAO inhibitor is discontinued in order to start the Strattera treatment. This drug should not be used in patients with narrow-angle glaucoma, as this drug may cause mydriasis (dilation of the pupil) and increase eye pressure, which may worsen the symptoms of glaucoma. Patients who have pheochromocytoma (an adrenal gland tumor) should not use this medicine, as there is an increased risk of developing hypertensive crises. Post-marketing studies have demonstrated that Strattera Atomoxetine can cause severe damage to the liver. In clinical studies involving more than 6000 patients, this side effect was not observed. However, if you notice signs of liver damage, you should contact your doctor immediately. Regular monitoring of liver function at the beginning of therapy is recommended (at least during the first month of the therapy). There have been cases of sudden death in patients with cardiac abnormalities or other cardiac problems and have used Strattera. For this reason, this medicine should not be used in patients with cardiomyopathy, severe arrhythmias, cardiac abnormalities, and angina pectoris. Atomoxetine can increase blood pressure and heart rate. For this reason, it must be very carefully applied in patients who have hypertension or tachycardia. Also, there have been reported cases of orthostatic hypotension induced by this drug. Orthostatic hypotension is characterized by loss of consciousness/fainting when suddenly getting up from a sitting or lying position. Post-marketing studies have also demonstrated that Strattera Atomoxetine can provoke priapism – a painful erection that lasts more than 4 hours. The recommended starting dose for children who weigh up to 70 kg is 0.5mg/kg of body weight. The dosage should be increased after three days to 1.2mg/kg of body weight. Strattera should be administered once a day or twice a day (dose divided into two equal doses), in the morning and in the evening. The maximum daily dose for patients who weigh up to 70 kg is 1.4mg/kg of body weight. No increased efficacy was observed with doses greater than 1.2mg/kg. The https://www.meds4sure.com/buy-strattera-atomoxetine-online.html recommended starting dose for children and adults who weigh more than 70 kg is 40mg once a day. The dosage should be increased after three days at 80mg once daily or 40mg in the morning and 40mg in the evening. After 2-4 weeks, the dose can be increased to a maximum of 100mg daily. It is best to swallow the capsule with a glass of plain water, regardless of the meal. According to the FDA, Strattera Atomoxetine belongs to the group C because studies in rabbits have shown that the use of this drug during pregnancy can increase the risk of developing abnormal carotid artery or the absence of the subclavian artery. It has also been established that the use of Strattera during pregnancy can increase the risk of spontaneous abortion. For this reason, use of this medicine during pregnancy is not recommended. Strattera Atomoxetine is excreted in rat milk, but there is no data on whether this medicine is excreted in the breast milk. Due to potentially dangerous adverse effects on infants, the use of this medication during the breastfeeding is not recommended. Tell your doctor if you notice any of these adverse effects. MAO inhibitors, such as Moclobemide, Isocarboxazid, Tranylcypromine, Rasagiline, Selegiline, and Linezolid. These drugs are used in the treatment of depression, Parkinson's disease and bacterial infections. Anagrelide (brand name Agrylid) – a drug used to treat essential thrombocytosis. The concomitant administration with this medicine increases the risk of serious cardiac arrhythmias. Amiodarone – an antiarrhythmic agent. The concomitant administration with this medicine increases the risk of arrhythmias. Dolasetron (brand name Anzamet) – a drug used to prevent nausea that occurs in patients on chemotherapy. The concomitant administration with this drug increases the risk of serious arrhythmias. Leflunomide (brand name Arava) and Teriflunomide (brand name Aubagio) – drugs used to treat rheumatoid arthritis. The continuous administration with these medicines increases the risk of liver damage. Arsenic trioxide – a drug used to treat acute promyelocytic leukemia. The concomitant administration with this medicament increases the risk of arrhythmias. Tell your physician about all medicines and herbal remedies you are using.